An elegantly designed and equally methodical curated selection of 22 international tracks, updated weekly by 120 experts, influential DJs and bloggers from Amsterdam, Brussels, London and Paris. If available, links to iTunes, Spotify, etc are given. You can also read artist bios, save your favorites in a personal playlist or share via Twitter and Facebook. 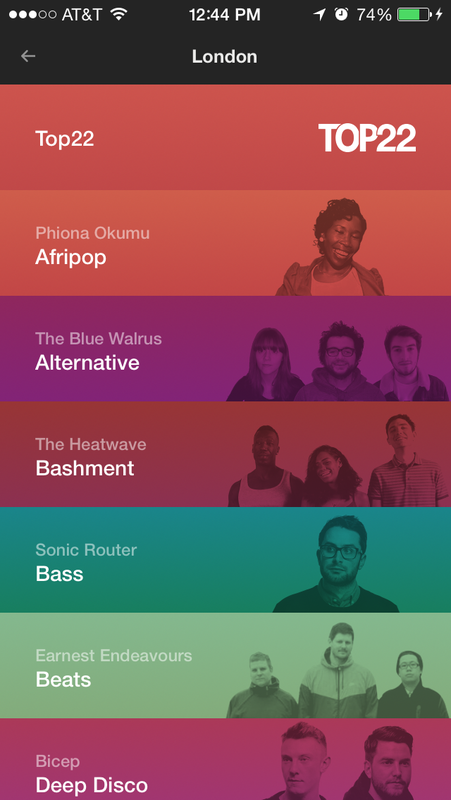 There is also a web based app that enables you to have the same music experience.